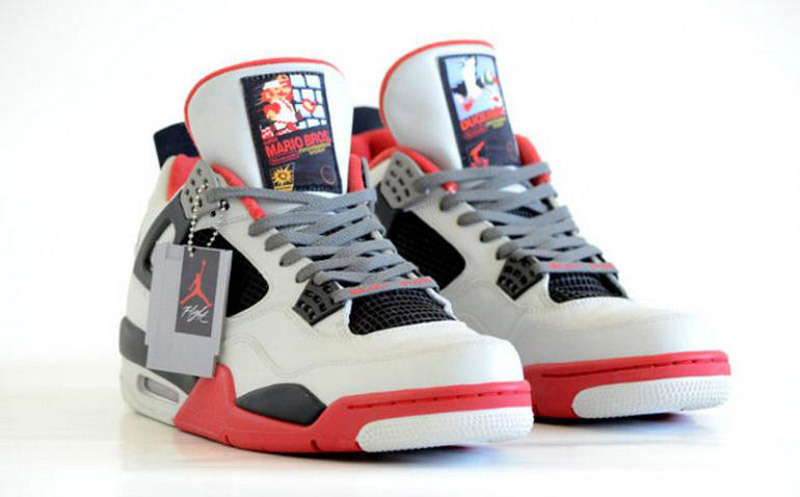 Here is something great for all video game fans who also like nice sneakers. FreakerSNEAKS, a company that creates unique, one of a kind hand-painted custom sneakers created in 2005 by U.K. born artist Jonny Barry just revealed a brand-new pair of Air Jordans inspired by Nintendo’s Game Boy. 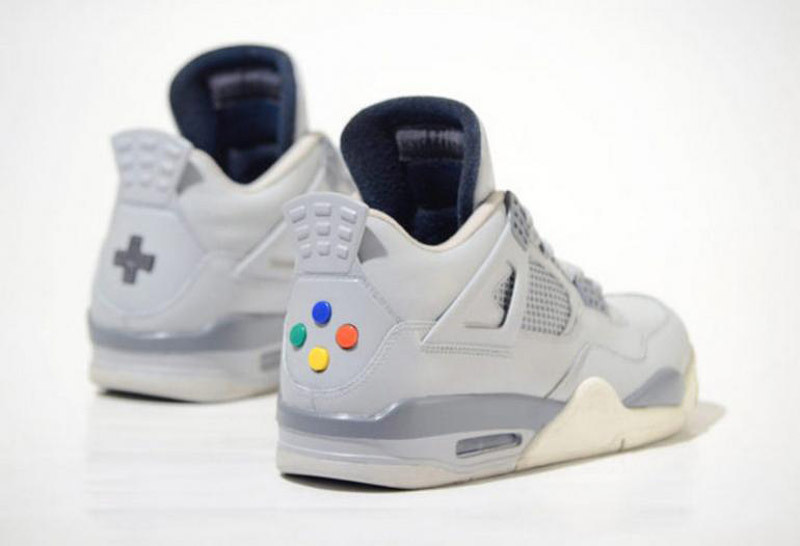 Barry’s latest creation features a plastic Game Boy cartridge as the hang tag, and other Game Boy-inspired detailing such as the two face buttons and the system’s d-pads on the heels, both of which are press-able for effect. 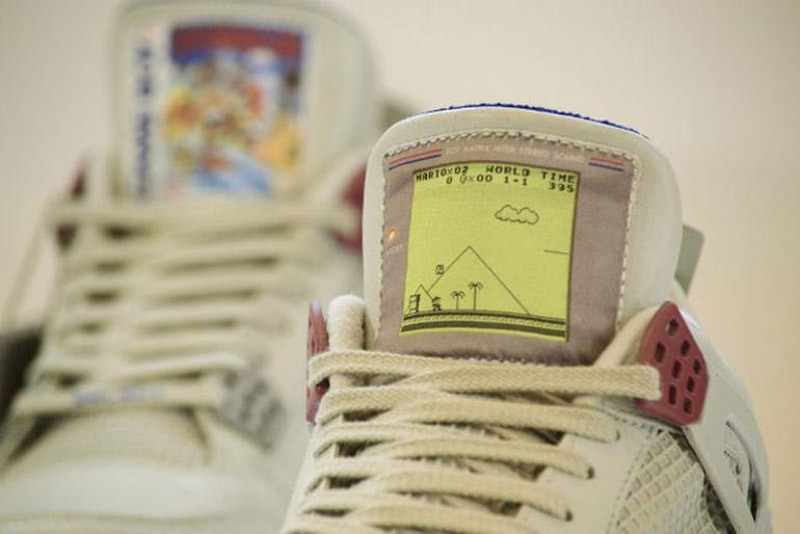 The shoes further feature Super Mario Land’s box art and a classic Game Boy green-yellow LCD screen showing off the game on the front of the tongue. There’s even a little Nintendo Game Boy branding on the side and the words “Start” and “Select” on the laces. The inspiration for this project is the year 1989, which brought with it the Nintendo Game Boy as well as the original Nike Air Jordan IV. The Game Boy ended up selling over 120 million units and the Air Jordan IV became one of the most iconic basketball shoes ever. Barry only created ten pairs of this custom sneaker – and despite the steep price of $1,350, they’ve already sold out.